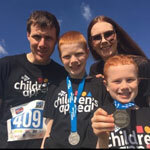 This ride is aimed at families, as well as beginners and people keen to get back into cycling. 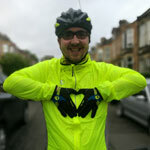 The whole idea behind Pedal for Scotland is that cycling is anyone can take part, so grab your wee brother, big sister, your granny and your dog and get them signed up. If you’re looking for a fun and active day out with the family, this ride is for you. The Wee Jaunt Edinburgh is the perfect opportunity to get the whole family out on their bikes and spend a day together. It’s a great day out, with refreshments and music along the way and that all-important finisher’s medal as you cross the finish line. You’ll start your morning in the beautiful town of Linlithgow and cycle 10 miles on closed-roads to the finish line, enjoying a great atmosphere along the way. At the event village, you can enjoy a range of activities for all ages as well as lots of refreshments, providing the perfect day out for families and friends, no matter what your age or cycling ability. You can purchase a return tram ticket during registration for £3.20. It's valid on the day of the event for use between Edinburgh Haymarket and Ingliston Park & Ride to help you travel to/from the Royal Highland Centre. The ticket will come in your rider pack prior to the event in the form of a wristband. Edinburgh Trams reserve the right to refuse entry to riders without official Pedal for Scotland Tram tickets on the day. Prices exclude a small processing fee. This is the limited edition, 20th anniversary design. It’s a technical t-shirt for the first time – a light, breathable material that wicks the moisture away from your skin. It can be ordered during the registration process and will be sent to you with your rider pack prior to the event. 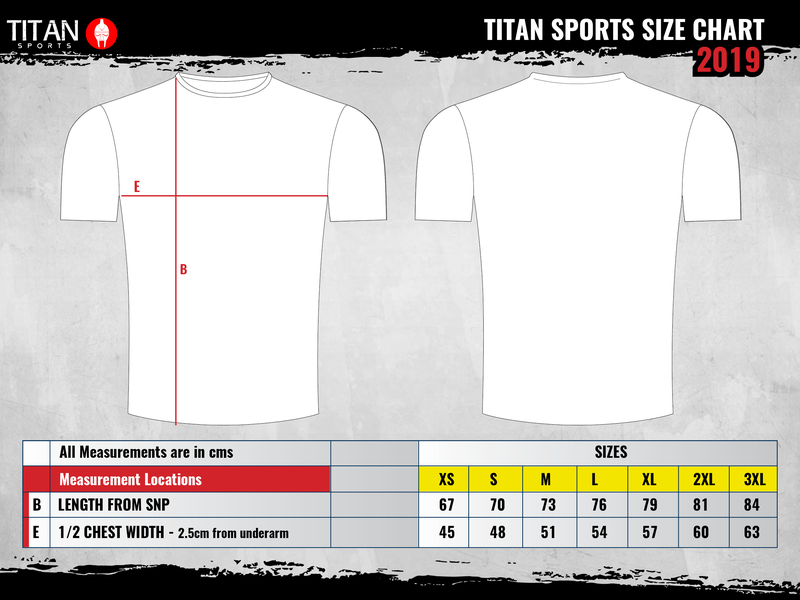 Please make sure you check the adult size chart and kids size chart before ordering a t-shirt. 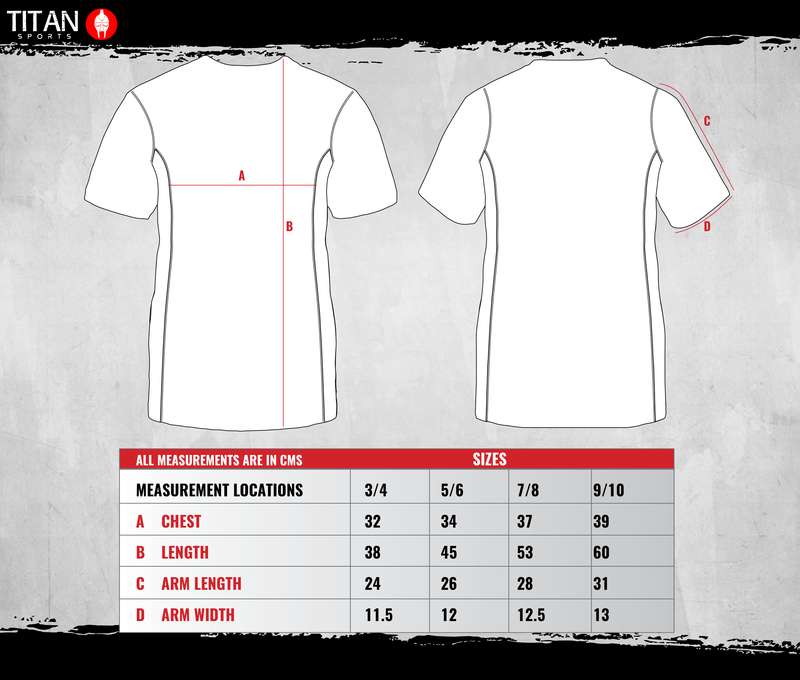 Technical material tends to be a tighter fit, so please choose your size accordingly. Children sizes are a guide based on an average child of the age range listed, so please choose the size accordingly to the measurements provided. 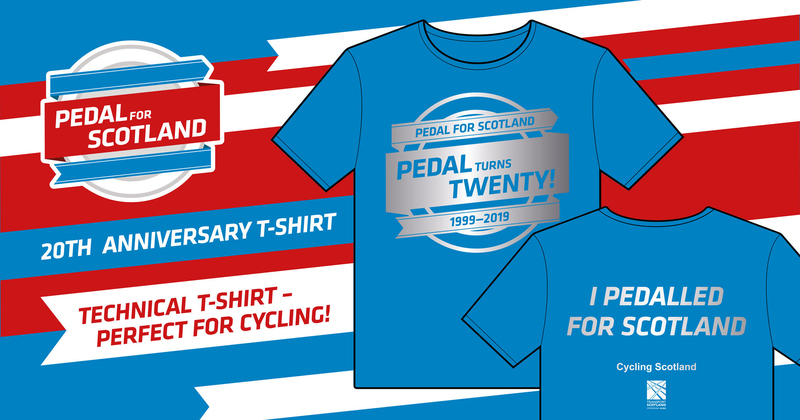 If you've registered already, you can add a t-shirt to your entry here. The Wee Jaunt Edinburgh routes starts in Linlithgow and joins the final 10 miles of the Classic Challenge, through stunning countryside towards the finish line and event village. The manageable distance, flat terrain and closed roads mean it’s the perfect ride for those new to cycling and younger riders. You can take a look at the 2018 route for reference. 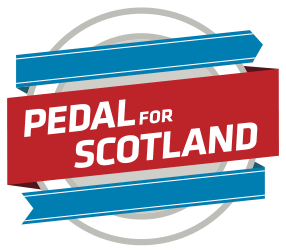 Pedal for Scotland is a non-profit event that aims to provide safe and engaging routes for people of all ages and abilities to enjoy cycling more often. ENTRY: £9 adult; £6 child; £20 family ticket (2 adults and 2 children) or £15 (1 adult and 2 children). Transportation will run in the morning from the North Car Park at the Royal Highland Centre in Edinburgh to Linlithgow from 07.00 - 08.30.